Dr. Long has played for many Novenas and other special healing services at the Shrine of St. Jude in New York City. A sacred place visited by many guest preachers among them Fr. Val de France. 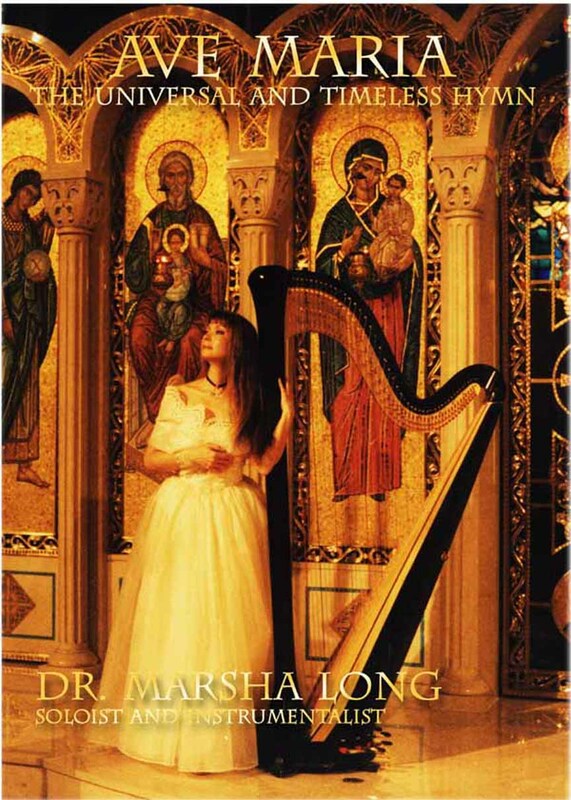 Though a Catholic, Dr. Long plays piano and lever harp while singing in Hebrew, Arabic, Latin and English for different people of different religions who are being treated at the hospital. 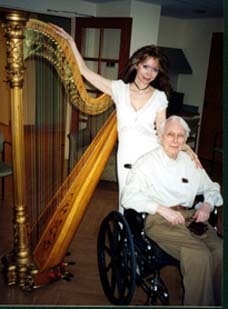 She uses a little lap harp in the patients’ rooms and community rooms for gatherings of small groups of people. Marsha volunteers at the Carmelite Nursing Home of St. Theresa of the Little Flower in San Diego. There she performs with a Troubadour harp and gives musical events with her mother singing as well. 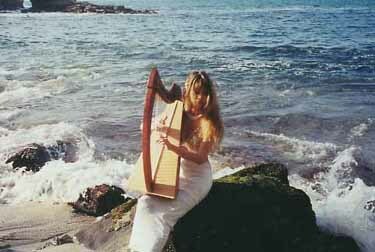 In New York Marsha has played for special celebrations with concert harp, Celtic harp or the piano. Thanks to an in house video system many who are unable to attend are able to watch the performances in their rooms. On a regular basis, Dr. Long brings her healing music to NY Hospital, Presbyterian Hospital Weill Cornell Medical Center and the Hospital of Special Surgery. 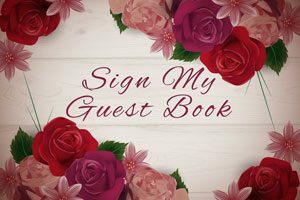 Dr. Long has shared her music with the blind and been interviewed several times by the Radio Reading services of Youngstown Ohio. Music is an essential part of remembering our loved ones who have gone from this life to the next. 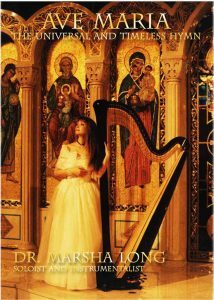 Dr. Long’s music has comforted Christians, Jews, Muslims, Buddhists, as well as those without religious affiliations. Her music is dedicated to uplifting the spirits and filling the hearts of the listener with a sense of joy of all the memories of their beloved ones. 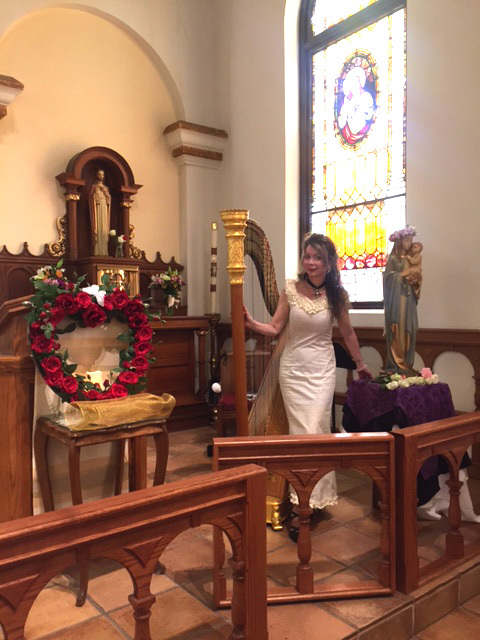 Marsha playing at traditional Chinese memorial service and funeral. Her mother, Berta “Casey” Long was a very active soprano on the Catholic music scene and would perform with Marsha often up until a few months before her passing at Christmas time 2012.